Where can I find a Carvin branded Ultimate Soft Case? I've been hunting reverb.com for a while but none have popped up. Just recently a found a Kiesel/Carvin buy/sell/trade group and have joined, but there seems to be no takers there at the moment. Is there another platform you would suggest for finding older Carvin stuff or have a pretty much found them and just need to be patient? Re: Where can I find a Carvin branded Ultimate Soft Case? Perhaps use one of those "all Craigslist" search engines that let you do a nation wide search. That was how I found my AC375. Terry Tibbs wrote: Just recently a found a Kiesel/Carvin buy/sell/trade group and have joined, but there seems to be no takers there at the moment. spudmunkey wrote: Perhaps use one of those "all Craigslist" search engines that let you do a nation wide search. That was how I found my AC375. Thanks Spud I’ll give CL a shot. Terry, have you tried just calling Kiesel to order one? MarshallTSL wrote: Terry, have you tried just calling Kiesel to order one? I don't think they'd have a 'Carvin' branded one. Needle in a haystack in Nebraska. Who cares what the outside says? You don't play the case. Kiesel soft cases are $140.00 on the site. 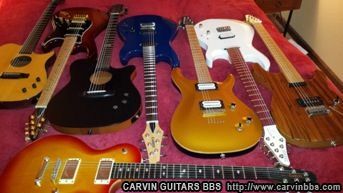 It wouldn’t hurt to call and ask if they have any of the Carvin branded ones left ya never know until you ask. I have a couple of Carvin Branded bass and guitar soft cases. I don't care what the outside says. I'm willing to trade you my Carvin one for one that says Kiesel. I don't want to sell them outright, because I need the for the instruments I have. Thanks for all the replies. I gave up and got a beater molded hardcase for 60 bucks on craigslist. Needle in a haystack indeed.